The Cambodia water crisis is steadily improving, but there is still work to do. Although half the country has access to a basic water supply, only 24% is safely managed water. 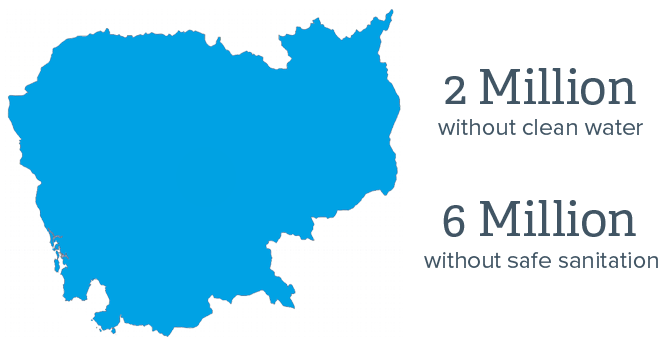 Of the 15.6 million people in the country, more than two million are still using surface water for drinking. Plus, only half of the people have access to improved sanitation and an astonishing 6.4 million people are still practicing open defecation. 90% of the most vulnerable people live in rural, hard to reach places. Though Cambodia faces serious challenges, there is hope to end the water crisis. The country is transforming steadily, and people are creating better, healthier lives for themselves, their families, and their neighbors. Cambodia, with a population of roughly 15.6 million people, is a Southeast Asian nation, located in the Indochina Peninsula and bordering Thailand, Laos, and Vietnam. Over the last two decades, Cambodia has experienced strong economic growth and has seen a significant decrease in poverty. In 2009, the country even achieved the Millennium Development Goal to halve poverty. With all the growth and development, there is still much work to do for vulnerable people living in rural areas. Children in Cambodia fish, bathe, and drink from swampy waters. In those rural areas where Lifewater focuses, we have identified specific challenges. For example, in children under 5, water-borne diseases, such as diarrhea have a high prevalence, at 74%. Although most people are able to use enough water per day, according to the World Health Organization standards, 87% still reported having a shortage of water. Sanitation is a serious issue in these communities, with a staggering 83% without access to an improved latrine and still practicing open defecation. Download our Svay Leu and Borkeo Baseline Reports for more information. At Lifewater, we are dedicated to ending the water and sanitation crisis in Cambodia. To date, we have helped 14,857 people in Svay Leu, a rural part of Cambodia, gain access to clean water and improved sanitation and hygiene. In Borkeo, we recently launched a program that aims to help 7,211 people. As part of our Vision of a Healthy Village program, we have certified 884 Healthy Homes in Svay Leu. Lifewater’s Vision of a Healthy Village is a community-led program effecting small changes – constructing improved latrines and handwashing devices; implementing the usage of drying racks for dishes; keeping home compounds clean; and keeping water clean – house by house, village by village. In the next five years, we aim to help 100,000 people in rural Cambodia gain access to clean water and improved sanitation and hygiene. You can make a real difference for vulnerable people in Cambodia. 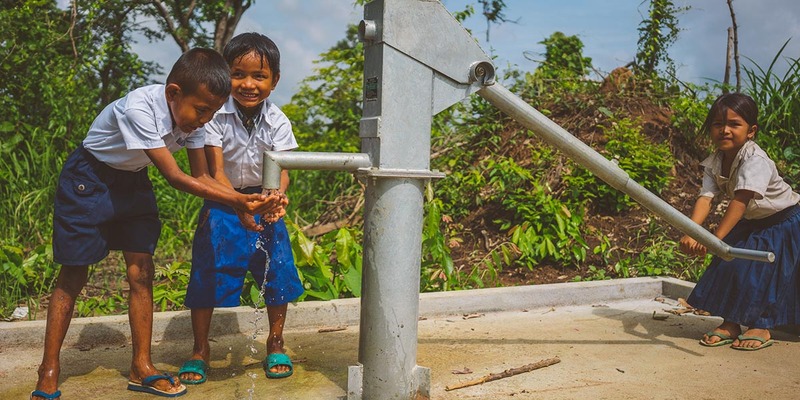 One way to make a difference is to sponsor a Village Water Project with Lifewater, to bring transformation to a community of people in Cambodia. When you sponsor a village, you get to choose the village, view the communities and homes on a map, and see your impact. Sponsoring a Village Water Project is a great way to be connected to the people you love and serve. A new well at a school means better health for children. These are two stories, among others, of how people are overcoming the Cambodia water crisis thanks to loving people like you. Join us in bringing clean water, health, and hope to more people in Cambodia.